The Breeders perform Cannonball on Later… with Jools Holland on BBC Two (22nd May 2018). Kim Deal emerges from the wreckage of alt-rock heroes the Pixies with her twin sister, Kelley, on guitar and a freewheeling, shaggyheaded, bighearted mess of a song. “Cannonball” was one of the weirdest radio hits of the Nineties – or any decade before it.The Breeders busted out an old favorite on Tuesday night’s episode of the live BBC late-night show Later…with Jools Holland with a performance of their 1993 breakthrough hit “Cannonball.” The Deal sisters and company also played “Wait in the Car,” the first single off of their fantastic 2018 album All Nerve. Marvel at the extreme, head-on closeup of Kim Deal’sface as she sings, “I know you’re a real cuckoo” and that weird camera angle seemingly shot from under drummer Jim Macpherson’s seat. The Breeders‘ first four albums will be reissued on vinyl by 4AD next month. All of the Breeders’ previous albums Pod, Last Splash, Title TK, and Mountain Battles – will be re-issued on vinyl on 18th May. With their new album All Nerve released last month, The Breeders have now confirmed plans to reissue their first four albums on vinyl . The reissues will arrive via 4AD, with their debut Pod from 1990, 1993’s Last Splash, Title TK from 2002 and their last album before their extended hiatus, 2008’s Mountain Battles all the subject of the reissue plans. The band will play a handful of shows in the UK and Ireland in late May folllowing the release of the reissues taking in dates in Belfast, Dublin, Edinburgh, Leeds and London, before returning for a further few shows in July. The 1990 debut featuring the line-up of Pixie’s Kim Deal, Throwing Muses’ Tanya Donelly, the Perfect Disaster’s Josephine Wiggs and Slint’s Britt Walford, was recorded by Steve Albini. Kurt Cobain listed the record as one of his top three favourite albums saying, “the way they structure [the songs] is totally unique.” Critically acclaimed when it came out, Pod’s legacy lives on It was “blissful mindfuck of a record,” and ranked it in their Best Albums of the 90s. Recorded in 1993 by what is now regarded as the ‘classic’ Breeders line-up of Kim and Kelley Deal, Josephine Wiggs and Jim Macpherson. Including the twisted pop singles ‘Cannonball’ and ‘Divine Hammer’, it has become one of the defining albums of the 90s. What else? 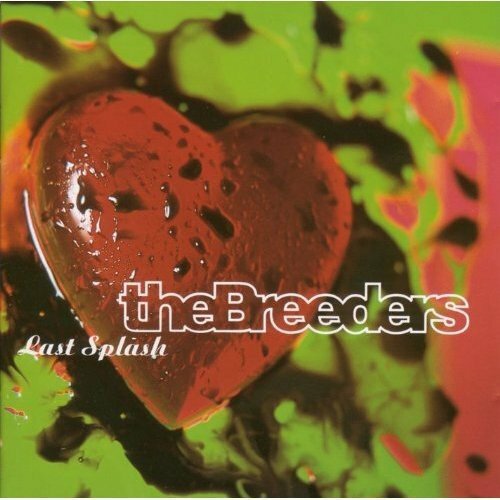 The Breeders‘ quintessential 1993 album ‘Last Splash’ followed on from the warped and jagged ‘Pod’ by throwing caution to the wind, producing an erratic, distorted, and yet intensely textured masterpiece of 90’s alt-rock. The results of their almost sarcastic jab at the crossover between chart success and the alt-rock/grunge movement landed Kim and the band with unexpected commercial success; ‘Last Splash’ would eventually go platinum in the United States, and lead single ‘Cannonball’ filled dance floor’s up and down the country. While ‘Cannonball’ is still their most recognisable song, ‘Last Splash’ delivers throughout, taking a number of detours along the way; ‘Invisible Man’, with it’s grinding, hazy guitar hooks and string arrangement; ‘Do You Love Me Now?’, with it’s brooding, chugging guitar in ode to feeling lovesick; and ‘Flipside’, a sub 2 minute instrumental blast of sheer joy, with a playful guitar line and copious amounts of cymbal smashing. ‘Last Splash’ presents The Breeders at their best; inventive, eccentric, effortlessly cool, and full of a vigour lost among the grunge crossover bands of the early 90’s. 2002’s Title TK saw the band work with Steve Albini once more, with the Guardian saying it was “a welcome return to punky pop that knows how to flex some melodic muscle.” The album has been out of print on vinyl since its release. 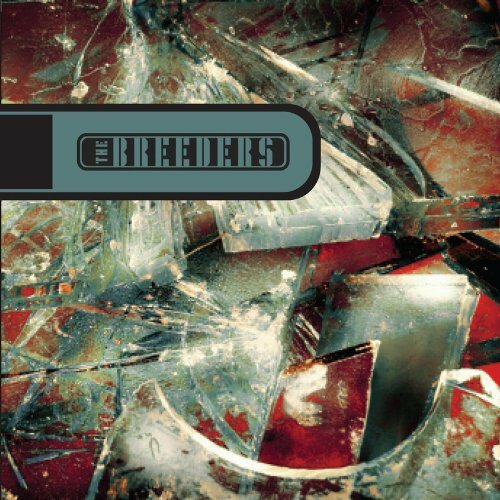 Ending a 9 year hiatus, The Breeders came back in 2002 with ‘Title TK’, a tuneful yet melancholy and skeletal album at odds with their previous work. It drifts between different tones seemingly on a track by track basis, a little unsettled and unsure of itself, yet there are moments here of brooding which are reminiscent of early work by PJ Harvey; in the dark punk sounds of ‘Little Fury’ and ‘Son Of Three’, and in the soft ballad ‘Off You’. On release, critics weren’t as enthralled with ‘Title TK’ as they had been with previous album ‘Last Splash’, lamenting the albums lack of creative flare and citing an unoriginal re-recording of ‘Full On Idle’ (originally recorded by Kim Deal’s other side project The Amps) as evidence of this. Retrospective listeners, however, have noted that ‘Title TK’ works more under the pretext of a concept album; a record about the absence of things, or about losing things and making do in order to move forward. Fourth album Mountain Battles, a perfectly formed album of 13 miniatures in 36 minutes engineered by Steve Albini, was originally released in 2008. Like Title TK before it, Mountain Battles has been out of print since its release. Another gap followed the release of ‘Title TK’ before The Breeders were ready to release their most recent album ‘Mountain Battles’. With a more stable lineup this time around, ‘Mountain Battles’ sees progression from ‘Title TK’ in terms of attitude; it’s more optimistic, defiantly so, and finds the band willing to return to throwing in tracks from left field. ‘Istanbul’ is an understated eastern-style chant, while ‘Regalame Este Noche’ provides a hint of Spanish slow-dance to the proceedings. Although it takes a little time to warm up, ‘Mountain Battles’ is a largely successful return to the spiky, inventive sound The Breeder‘s had used so effectively during their earlier years. The Breeders’ fifth studio album, saw the iconic line-up of Kim and Kelley Deal, Josephine Wiggs and Jim Macpherson reunite for the first time since the release of the platinum-selling album Last Splash. Released earlier this year, critics and fans welcomed them back with open arms and they scored their highest chart positions – including top 10 in the UK – in 25 years. ‘All Nerve’ – the first new album from The Breeders in a decade – reunites band members Kim and Kelley Deal, Josephine Wiggs and Jim Macpherson, the lineup behind the iconic and platinum-selling record, ‘Last Splash’. Featuring the tracks ‘Wait In The Car’ and title track ‘All Nerve’, recording took place at Candyland, Dayton, Kentucky, with Mike Montgomery; Electrical Audio, Chicago, with Steve Albini and Greg Norman; and with Tom Rastikis at Fernwood Studios, Dayton, Ohio. 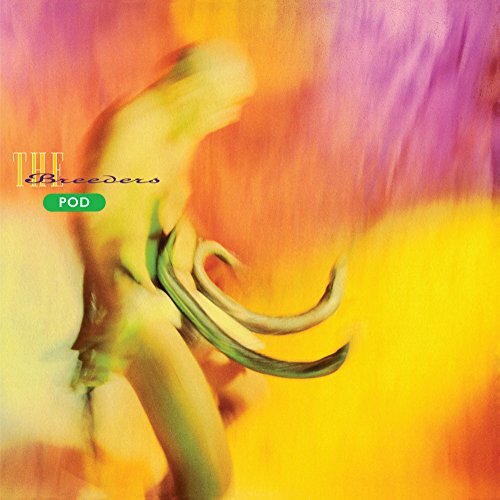 Artwork was conceived by Chris Bigg, who has worked with The Breeders since their first album, ‘Pod’. ‘All Nerve’ is released on CD and 180g black vinyl with digital download card. It’s also available to us pressed on 180g orange vinyl with alternate artwork and digital download code. 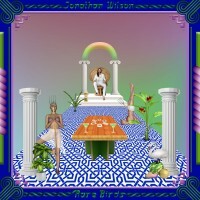 Released via 4AD Records. ‘All Nerve’, the new album by The Breeders, will be released on March 2nd 2018 on 4AD Records. They may have been away from the spotlight for a while, but the Breeders haven’t had their last splash. Today, the band released “Nervous Mary” It’s the third single from their upcoming album All Nerve, their first in a decade. Following the release of “Wait in the Car” and the title track, “Nervous Mary” which opens the record, after nearly 30 years in the music business is only their fifth LP. Due out March 2nd via 4AD Records, the album features the same lineup as their seminal 1993 record Last Splash — which includes frontwoman Kim Deal, her twin sister Kelley on guitar, Josephine Wiggs on bass and drummer Jim MacPherson. The group reconnected in 2013 to celebrate the 20th anniversary of the album with a series of shows. “Kim thought I hated her, and I thought she hated me,” for 15 years, Macpherson told the New York Times. The group has learned how to appreciate one another and get along, a big part of which was the Deal sisters finding sobriety. “Nervous Mary” focuses on a central character who never gets what’s coming to her. “Nervous Mary had a nervous day/ Oxbow, strange glow/ She runs for the exit, but she never got away,” the Deals sing. Lead All Nerve single “Wait in the Car,” released back in October, is a vindictive alternative-punk track featuring The Breeders’ trademark bratty lead vocals and a “Teenage Kicks”-like guitar riff. “All Nerve” itself is a dynamic track that ping-pongs between subdued verses and crunching choruses. 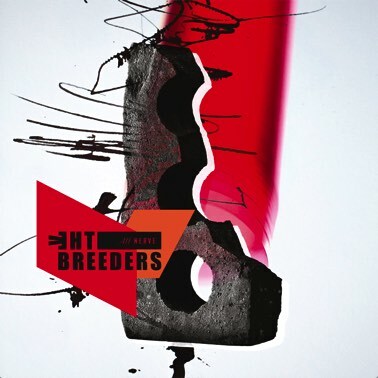 Revisit “Wait in the Car” and check out venues for The Breeders’ world tour dates. The Breeders have released two albums since the turn of the century, but their forthcoming record will be the first made with the lineup of Kim Deal, Kelley Deal, Josephine Wiggs and Jim McPherson since 1993’s Last Splash. They recruited Steve Albini to help out recording drums on a few tracks, and the album promises to feature a contribution from Courtney Barnett, too. If last year’s raucous “Wait in the Car” is any indication of what to expect, it should be a good time. The barely two-minute track opens up with the sounds found on that tweet, some power chords followed by Kim Deal shouting, “Good morning!” Its video was directed by Chris Bigg and Martin Andersen, who created the video out of 800 still images. The song will be released on three separated colored vinyl 7-inch singles. Fans attending their upcoming tour will be able to purchase an orange vinyl copy backed with a cover of Amon Düül II’s “Archangel’s Thunderbird” that they recorded with Steve Albini. Then on October 27th, a yellow vinyl version, with their take on Devo‘s “Gates of Steel” as the b-side, will arrive in select independent record shops. They have yet to announce details for the third single, a red vinyl 45 with a cover of Michael Nesmith’s “Joanne” on the flip side. Pressings of all three will be limited to 1,500 copies. The Breeders are: Kim Deal (vocals and guitar); Kelley Deal (guitar and vocals); Jim Macpherson (drums); Josephine Wiggs (bass). They are currently recording a new album. The Breeders will head to Europe for two weeks before returning home to open a pair of shows for Arcade Fire. Then, they’ll begin a headlining tour of the U.S. in November. 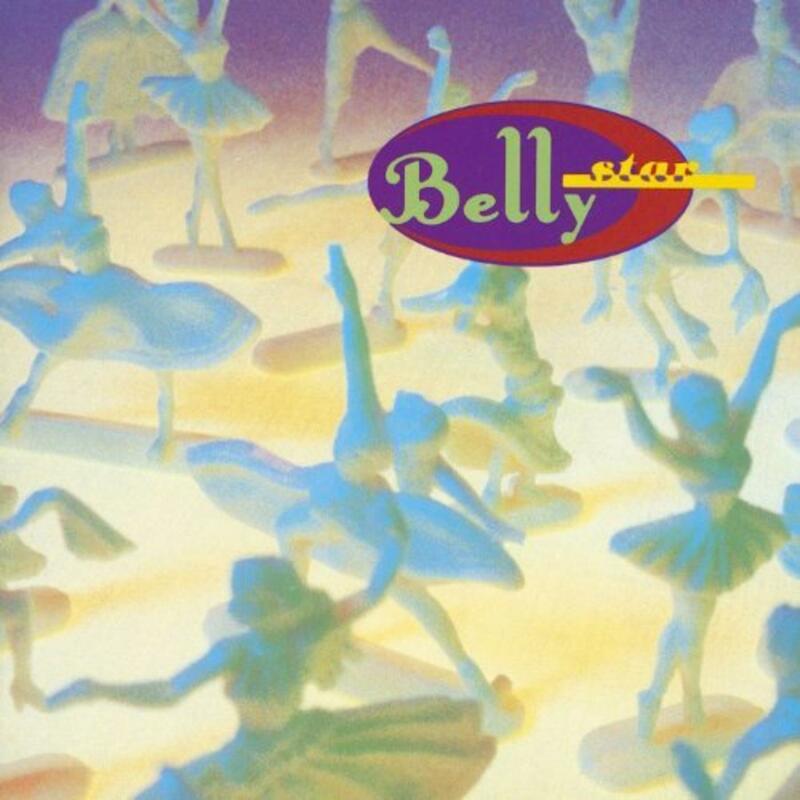 With stints in Throwing Muses and The Breeders behind her, Tanya Donelly was more than ready to front her own alternative rock band, and Belly captured the spotlight even more firmly than those previous groups. Filled out by three musical cohorts from Donelly’s Rhode Island home base, Belly made an impressive debut with “STAR” the 1993 Sire set included a Modern Rock chart-topper in “Feed The Tree,” another MTV favorite in “Gepetto,” and brought the quartet two Grammy nominations. These 15 originals give indie dream pop plenty of appealing hooks – even if the album’s sweet-sounding vocals sometimes sing about rather strange stuff. Today we’ll wish upon a Star in honor of Tanya Donelly’s birthday. In the time off between Throwing Muses albums at the turn of the 1990s, Donelly and Pixies guitarist Kim Deal collaborated on a new project, The Breeders, who released their debut Pod in 1990 largely consisting of Deal’s songs with the plan of the follow up featuring largely Donelly’s songs. 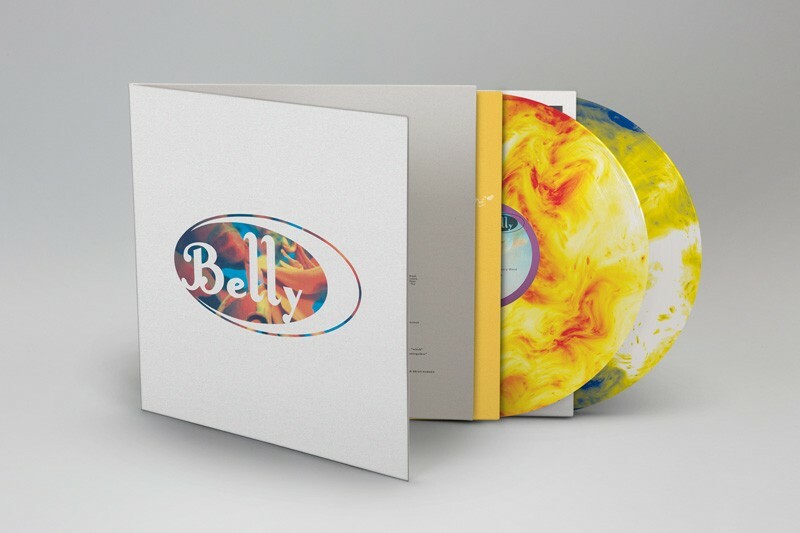 As luck would have it, that second Breeders album would become Belly’s first. Star’s appeal is clear; its tone is impeccably balanced between oblique jangle-pop and moody dream-pop, tracks that individually would appear at odds with each other benefitting by this balance to achieve an unwitting congruity. 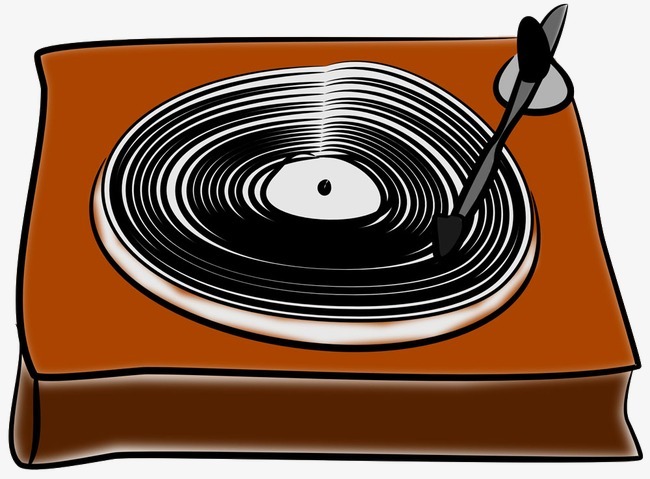 That said, with the exception of REM’s Automatic For The People, the upper echelon of the UK albums chart in and around February 1993 was continuously peppered with compilations of legacy pop acts with nary a blink at rising alternative acts until Suede’s debut would chart a couple months later, so how and why Star? . Indeed, few albums can as deftly move from the Eastern European flavours of “Angel” to “Gepetto”s jangly bounce, veering over to “White Belly”s gorgeous murk and back around to the countrified folk of “Untogether”. While truthfully a rather sprawling album at 15 tracks over 51 minutes, Star plays small owing to its constant shift in tone reinvigorating the listener track to track. 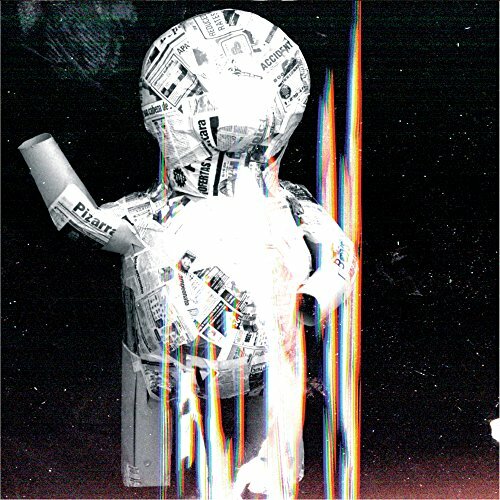 “Dusted”s razor wire riff belongs chiseled on a Rushmore of indie rock hooks while there is nary a chorus as exuberant in the annals of indie rock as “Slow Dog”. It’s Donelly’s unsuspecting vocal prowess that threads Star together as an album rather than a collection of songs. Wafting vaporously into view on opener, “Someone To Die For”, she proceeds, throughout the album, to emit just enough grit and force to stay atop her band’s thunderous patches while reining back at precisely the opportune respite points.